The Hungarian Labour Market Yearbooks series was launched in 2000. We had striven from the beginning to provide up-to-date results of labour market researches and useful information on the Hungarian labour market tendencies as well as the legislative and institutional background of the employment policy for the GO and NGO organizations of the public employment services, the local goverments, the public administration, educational and research establishments and - last but not least - for both the press and the electronic media. Our detailed analyses focusses on a special key issue in each year. Our goal is drawing up comprehensible and transparently structured yearbooks, which describe both the main characteristics and internal connections of the Hungarian labour market trends on the base of all available statistics, theoretical researches and empirical analysis. 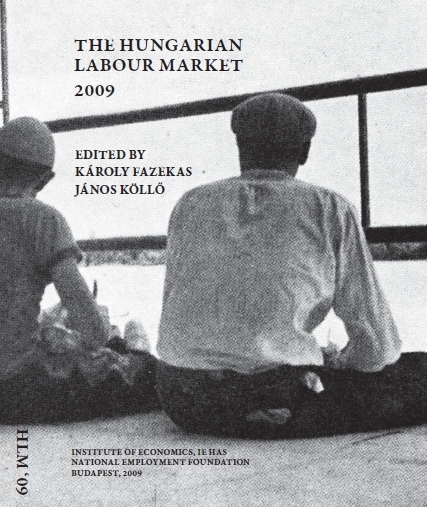 The Hungarian Labour Market Yearbook furnishes the pre­sent-day characteristics of the Hungarian labour market and of the Hungar­ian employment policy, and features an in-depth analysis of a topical issue each year. The editorial board has striven to deliver relevant and use­ful information on trends in the Hungarian labour market, the legislative and institutional background of employment policy, and up-to-date findings from Hungarian and international research studies to civil servants, staff of the Em­ployment Service, municipalities, NGOs, public administration offices, educa­tion and research institutions, the press and electronic media. The yearbook series presents the main characteristics and trends of the Hungarian labour market in an international comparison us­ing available statistical information, conceptual research and empirical analysis in a clearly structured and easily accessible format. Continuing our previous editorial practice, we selected an area that we con­sidered especially important from the perspective of understanding Hungar­ian labour market trends and the effectiveness of evidence-based employment policy. In 2015, In Focus addresses the issue of international migration. The Hungarian Labour Market Yearbook series was launched fifteen years ago by the Institute of Economics of the Hungarian Academy of Sciences with support from the National Employment Foundation. The yearbook presents the main characteristics of the Hungarian labour market and of the Hungarian employment policy, and features an in-depth analysis of a topical issue each year. From the outset, the editorial board has striven to bring relevant and us¬able information on trends in the Hungarian labour market, the legislative and institutional background of employment policy, and up-to-date findings from Hungarian and international research studies to policy makers, civil servants, municipalities, NGOs, higher education and research institutions, the press and electronic media. Continuing our previous editorial practice, we selected an area that we considered especially important from the perspective of understanding Hungarian labour market trends and the effectiveness of evidence-based policies. Thus, this year the focus is on public works in Hungary. The Hungarian Labour Market Yearbook series was launched 14 years ago by the Institute of Economics of the Hungarian Academy of Science with support from the National Employment Foundation (OFA). The yearbook presents the main characteristics of Hungarian employment policy and each year features an in-depth analysis of a topical issue. The current volume examines the characteristics of public sector employment. From the outset, the editorial board has striven to bring relevant and usable information on trends in the Hungarian labour market, the legislative and institutional background of employment policy, and up-to-date findings from Hungarian and international research to policy makers, civil servants, government officials, higher education and research institutions, and the press and electronic media. The research published in the yearbook series would also provide a good source of knowledge for higher education on the topics of labour economics and human resources management. The yearbook presents the main characteristics and trends of the Hungarian labour market in an international comparison using available statistical information, conceptual research and empirical analysis in a clearly structured and easily accessible format. The Hungarian Labour Market Yearbook series was launched in 2000 with the support of the National Employment Non-Profit Public Company Ltd. The yearbook presents the main characteristics of Hungarian employment policy and each year features an in-depth analysis of a topical issue. The editorial board has striven, from the beginning, to provide up-to-date results of labour market research and useful information on the Hungarian labour market tendencies as well as the legislative and institutional background of the employment policy of the GO and NGO organizations of the public employment services, local governments, the public administration, educational and research organisations and – last but not least – for both the press and the electronic media. 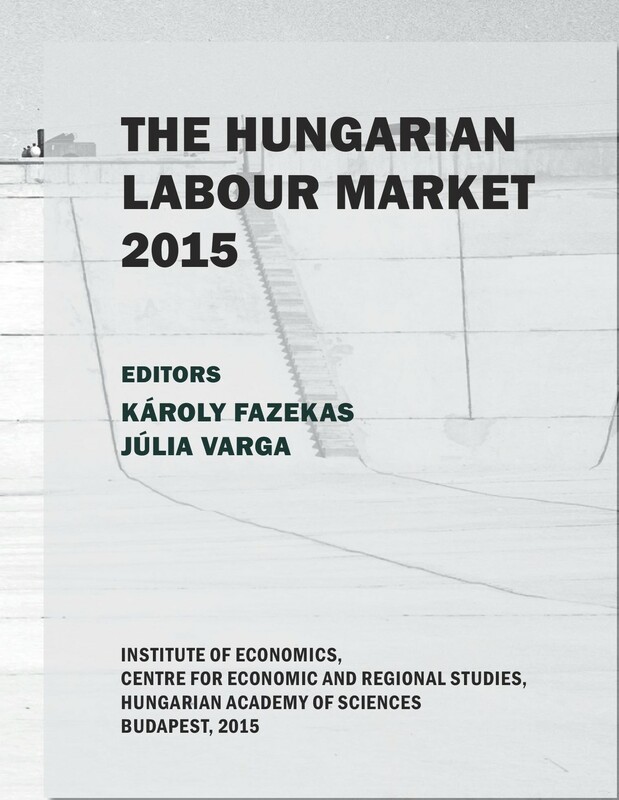 This year we have also created a clearly structured and easily accessible volume that presents the main characteristics and trends of the Hungarian labour market onthe basis of available statistics, conceptual research and empirical analysis. Continuing our previous editorial practice, we selected areas that we consider especially important from the perspective of understanding labour market trends in Hungary and effective evidence-based policy making. The Hungarian Labour Market Yearbooks series was launched in 2000 with the support of the National Employment Non-Profit Public Company Ltd. The yearbook presents the main characteristics of Hungarian employment policy and features an indepth analysis of a topical issue each year. The editorial board has striven from the beginning to provide up-to-date results of labour market research and useful information on the Hungarian labour market tendencies as well as the legislative and institutional background of the employment policy for the GO and NGO organizations of the public employment services, the local governments, the public administration, educational and research organisations and – last but not least – for both the press and the electronic media. This year we have also created a clearly structured and easily accessible volume that presents the main characteristics and trends of the Hungarian labour market on the basis of available statistics, theoretical research and empirical analysis. Continuing our previous editorial practice, we selected an area that we consider especially important for the effectiveness of Hungarian employment policy: the impact evaluation of active labour market policies. 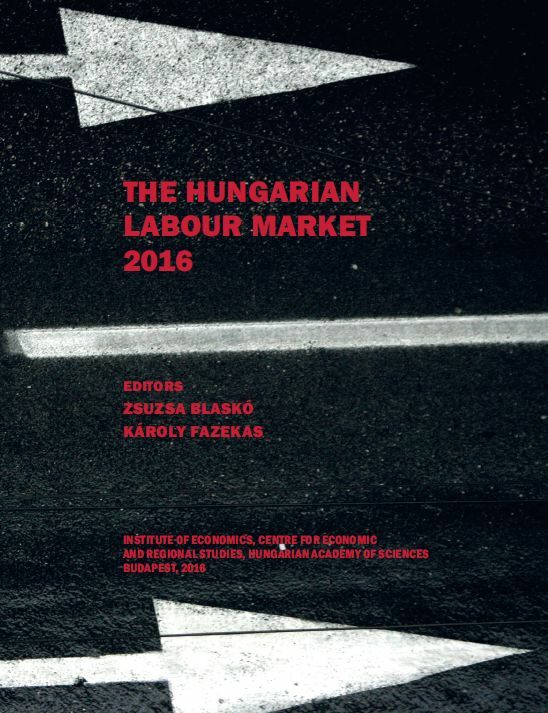 The Hungarian Labour Market – Review and Analysis contains a review of the current developments in the labour market and employment policy, as well as an in-depth analysis of a subject area within the topic. This year, we once again compiled a publication that details the characteristics of Hungarian labour market processes and their interrelations in an easily understandable, transparent structure based on the available statistics and on both theoretical and empirical research. In each chapter, we have understandably placed an emphasis on the presentation and analysis of the labour market consequences of the economic crisis. The book was annotated in the Journal of Economic Literature: Vol. 49 No. 4 (December 2011) p. 1334. The series of our labour market yearbooks was launched with the goal of reviewing the main developments in the Hungarian labour market annually, and of giving an in-depth analysis of selected issues. In this volume the first part gives an overview of the labour market impact of the first year of the economic crisis, and the policy response to it. The second part analyzes characteristics of labour market discrimination and segregation. The introductory chapter of this section summarizes the different types of observable statistical differences between groups present in the labour market, introduces the standard economic models of labour market discrimination, and discusses non-discriminatory phenomena which may also lead to the observed between-group differences. The third part describes the legal and institutional environment of the Hungarian labour market in 2008-2009. The closing part presents a comprehensive collection of statistical data on labour related issues. The series of our labour market yearbooks was launched with the goal of reviewing the main developments in the Hungarian labour market annually, and of giving an in-depth analysis of selected issues. The introductory chapter of the present volume discusses trends and recent changes in employment, activity, and unemployment between 2007 and the first quarter of 2009. The first part of this year’s In Focus presents a descriptive statistical overview of the labour market as seen through the microdata of the European Labour Force Survey. The second part deals with a specific aspect of the labour market, namely vocational training. The authors present a strong evidence that vocational training is an ailing part of the educational system in need of profound reforms. The third part of the book discusses the legal and institutional environment of the Hungarian labour market, while the closing chapter provides a comprehensive collection of statistical data. The series of our labour market yearbooks was launched with the goal of reviewing the main developments in the Hungarian labour market annuallyand of giving an in-depth analysis of selected issues. The "In Focus" analysis are based on up-to-date results of empirical studies carried out in different fields of the Hungarian labour market. The selection criteria for the topics of these chapters were determined by the editorial board of the yearbook. Two basic principles are followed: the chosen subjects must have crucial relevance for policy making and the authors must be equipped with solid empirical evidence to produce a detailed description of social and economic developments and to reveal causality relations between the outcomes and the determinant factors. 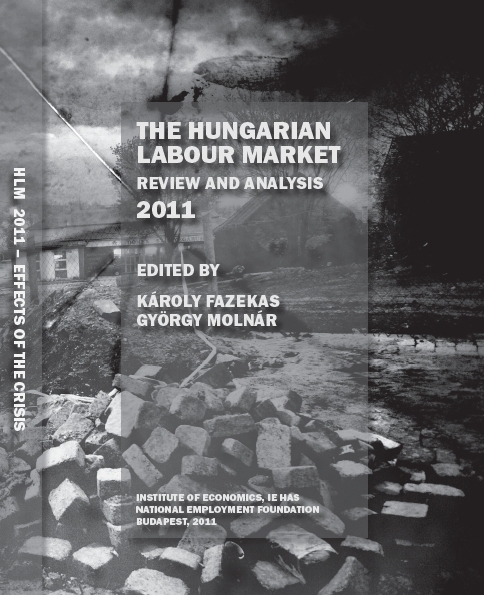 The first chapter presents the main labour market trends in Hungary in 2007 which include participation, employment and unemployment rates and information on wages. The second part of this volume presents analyses of the labour supply implications of welfare provisions. The third part presents an evaluation of the impact of active labour market programmes in the period 2001-2006, and summarizes the main changes in labour market policies and institutions during and after 2007. 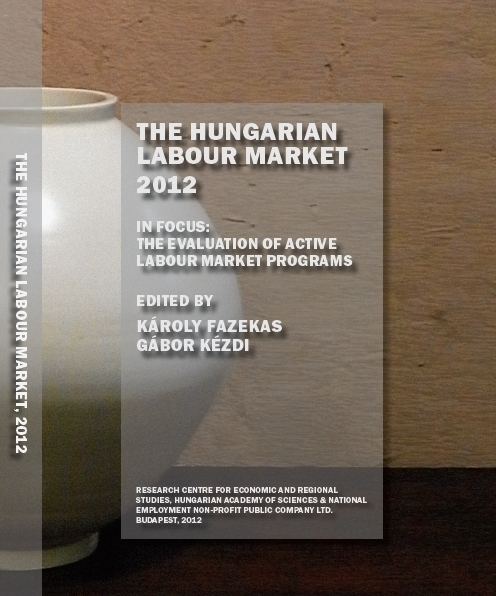 The closing part presents a comprehensive collection of statistical data on the Hungarian labour market. The original goal of our labour market yearbooks is to review annually the main developments in the Hungarian labour market and to give an in-depth analysis on selected issues. Experiences accumulated through the publication of the previous volumes (seven in Hungarian and five in English) and their reception in Hungary and abroad confirmed our original idea and gave us the stimulation to enhance both the contents and the quality of the new volumes. This volume consists of four parts: 1. Labour market trends in Hungary: In this chapter we present the main labour market trends in 2006. 2. In Focus: This year we put "in focus" wage formation on the Hungarian labour market. 3. Legal and Institutional Environment of the Hungarian Labour Market: This year's study is a summary overview of the current legislation and rules, having unemployment benefits and active labour market policies in its focus. 4. Statistical data: The closing chapter presents a statistical data set, and gives comprehensive information on the main economic developments, such as demographic trends, employment, unemployment and inactivity, wages, education, labour demand and supply, regional differences, migration, commuting, and labour relations, together with some international comparisons and methodological remarks. The original goal of our labour market yearbooks is to review annually the main developments in the Hungarian labour market and to give an in-depth analysis on selected key issues. The subsequent chapters of this volume present "stylised facts" and recent research results, together with selected information and statistical data. Experiences accumulated through the publication of the previous volumes (six in Hungarian and four in English) and their reception in Hungary and abroad validated our original idea and gave us the encouragement and stimulation to enhance both the contents and the quality of the new volumes. Similar to previous volumes the opening chapter gives an overview of recent labour market developments. The In Focus section gives a comprehensive analysis on the industrial relations in Hungary. The third chapter addresses the changes in the legal and institutional environment of the labour market in two parts. The first part presents the measures that were taken in 2004 - after the publication of the previous volume of the Labour Market Review - and which entered into force in 2005. The second part describes the new legislation and amendments that took place in 2005. The goal of our labour market yearbooks is to review annually the main developments on the Hungarian labour market and to give an in-depth analysis of the key issues. The opening chapter gives an overview of recent labour market developments and employment policies. This year we put in focus the connection between education and the labour market. The first section of this chapter investigates the labour market successof people with varied educational attainment and also deals with the question of how large the stock is of accumulated human capital of Hungary by international comparison. The second section describes the magnitude of educational expansion and its consequences. The third section investigates the role of labour market expectations in the educational decisions of individuals. The last section investigates the connection between educational attainment and migration. The third chapter of the book provides an analysis of the causes and consequences of the legal and institutional changes that took place in employment policy last year. The closing chapter presents a statistical data set, and gives comprehensive information on the main economic developments, such as demographic trends, labour force participation, employment, unemployment and inactivity, wages, education, labour demand and supply, regional differences, migration, commuting, and labour relations, together with some international comparisons and methodological remarks. The goal of the volume is to review the main developments on the Hungarian labour market and to give an in-depth analysis of key issues. The chapters present 'stylised facts' and recent research results, together with selected information and statistical data. Our further intention is to guide readers in finding other relevant publications and reliable statistical sources. This year we put 'in focus' regional differences and inequalities. The related chapters try to find the causes of and the cures for spatial inequalities, first by identifying factors behind regional disparities on the labour market, second by investigating the ways and means of alleviating these inequalities with the reallocation of labour and capital. We elaborate on the spatial allocation and movement of firms, and also on the factors determining both. Considering spatial movement of labour we analyse migration, decisions to move or to commute, its costs and motives. The chapter opening the volume gives an overview of recent labour market developments and employment policies. The closing chapter presents a statistical data set, and gives comprehensive information on the main economic developments, such as demographic trends, labour force participation, employment, unemployment and inactivity, wages, education, labour demand and supply, regional differences, migration, commuting, labour relations, along with some international comparison and methodological remarks. Data on wage and income differentials are also presented, together with labour market developments at lower levels of government and in smaller regions. In assembling this chapter we added a separate subsection with abundant data based on the last (2001) and previous general census. The goal of the volume is to review the main developments on the Hungarian labour market and to give an in-depth analysis of key issues. Our intention is to guide readers in finding recent research results and reliable statistical sources. The opening chapter of this volume gives an overview of the Hungarian labour market developments and employment / unemployment figures during 2001-2002. This year we put 'in focus' the supply and the demand sides of the labour, these two chapters constitute the second and third chapters, while the fourth part of our yearbook - similarly to previous volumes - presents a statistical data set, and gives comprehensive information on the main economic developments, such as demographic trends, labour force participation, employment, unemployment and inactivity, wages, education, regional inequalities, and migration. We intend to promote a dialogue between science and policy, by making research findings accessible to a broader audience with our yearbook. The goal of the volume is to review the main developments in the Hungarian labour market and to give an in-depth analysis of key issues. The chapters present "stylised facts" and recent research results. Our further intention is to guide readers in finding other relevant publications and reliable statistical sources. The contributions related to the selected themes: wages and incomes support to the jobless give analyses on institutions, rules and market forces that shape wages or unemployment benefits and look at resulting costs and revenue changes that have occurred over a decade of transition. The closing chapter presents selected statistical data on the main economic and demographic trends, labour market participation, employment and unemployment, inactivity, wages, education, labour demand and supply, spatial disparities, migration, commuting, labour relations, together with some international comparisons.